EAFRD funds supported the development of a biogas station which converts 10 000 tonnes of bio inputs into around 4 300 MWh of electricity each year and provides a long-term economic diversification option for the farm business. Biogas production offers a diversification option for rural businesses. This type of project is environmentally sustainable and helps convert agricultural waste problems into profitable sources of renewable energy fuel. Farmers from Dešov have taken advantage of RDP opportunities that help fund such biogas projects. The project aimed to provide the beneficiary (ZD Dešov) with a new, alternative, stable, long-term and environmentally friendly source of income. RDP funds were used to co-finance the investments in equipment and infrastructure. The station was constructed on land within the existing farm business and this helped to reduce overall costs. 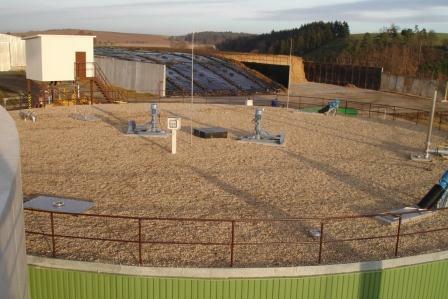 Further savings were achieved by the company’s use of its own labour to prepare the biogas plant’s foundations. A specialist firm constructed the actual gas generation units which are now operational and converting farm waste into green electricity. This project converts 10 000 tonnes of bio inputs (mainly from pig manure, maize and livestock slurry) into around 4 300 MWh of electricity each year and provides a long-term economic diversification option for the farm business. The project also helps provide new income sources for farmers supplying the bio inputs that are converted into gas. Bio-molecular processes that occur during the gas extraction procedure convert the bio-products into biogas plus a good quality compost material.